When the Amazon Echo virtual assistant device ships in the UK (and Germany) later this month, early-adopters who own a BMW will find they’re immediately able to operate BMW Connected functions by their voice alone. 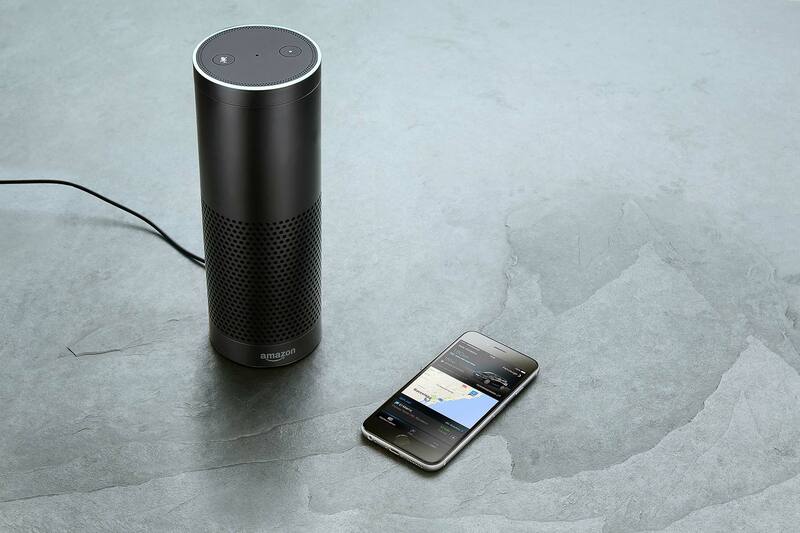 BMW has confirmed its integration with the Amazon Alexa virtual assistant technology will be functional from launch when the new Echo speakers launch in the UK – meaning British BMW owners are likely to number among the first buyers now Amazon has opened pre-orders here. 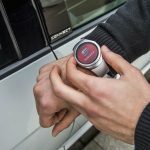 BMW Connected is a personal digital mobility assistant: via a so-called ‘Alexa skill’, Echo owners will be able to control it in their home via voice activation alone, in addition to the existing BMW Connected iPhone, Apple Watch and Android smartphone apps. You use it simply by speaking ‘Alexa, BMW’, followed by the question. Wondering if you have time for another round of toast and a coffee in the morning? Don’t bother checking your phone – simply say: “Alexa, ask BMW when I should leave for my next appointment”. Which, you have to admit, is pretty cool. BMW is the first car manufacturer to announce it’ll be fully integrated with Alexa in the UK: if you’ve an Echo device on pre-order for September 28th delivery, best get to your local BMW dealer double-quick to buy a car you can use it to talk to. This is the new BMW 5 Series, uncovered and in all its glory… albeit viewed from above by someone watching over it on an app. So while this technically is a world reveal, it doesn’t tell us much about the car. What it does reveal is a cool new app BMW’s developed for new 5 Series owners – that lets them watch over their car from their smartphone. 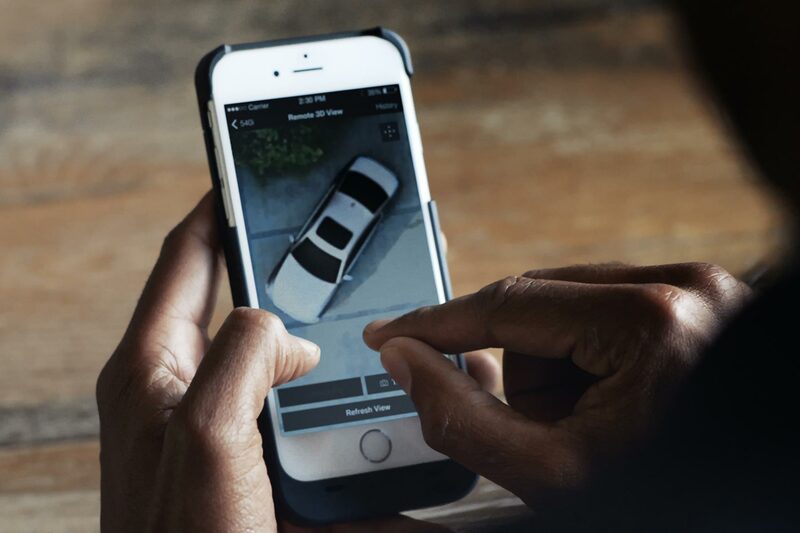 Using the car’s 3D cameras, BMW looks to be letting owners watch the same reverse parking camera view seen on the iDrive screen via the BMW Connected app. As this works ‘live’ when in use during reversing, it will also mean owners can watch almost-live overhead footage of their parked car, wherever they are in the world (it seems to let them refresh the image, which presumably instructs the cameras to turn on so it can take another screengrab). How cool is that? There’s likely to be more: it’s probably going to be linked into the car’s alarm sensors and other detectors, so would be able to alert owners if it picks up something untoward. Someone trying to break into your BMW? Watch what’s going on via the app. It may even record incidents if someone drives into it, which would also be smart. And, we’re sure, BMW has loads of other functionality built into this new app – perhaps allowing owners to isolate individual cameras to spy in more detail, for example. For now the firm, literally, isn’t saying much: in revealing the image, it simply stated: “Always know what is happening around your vehicle. 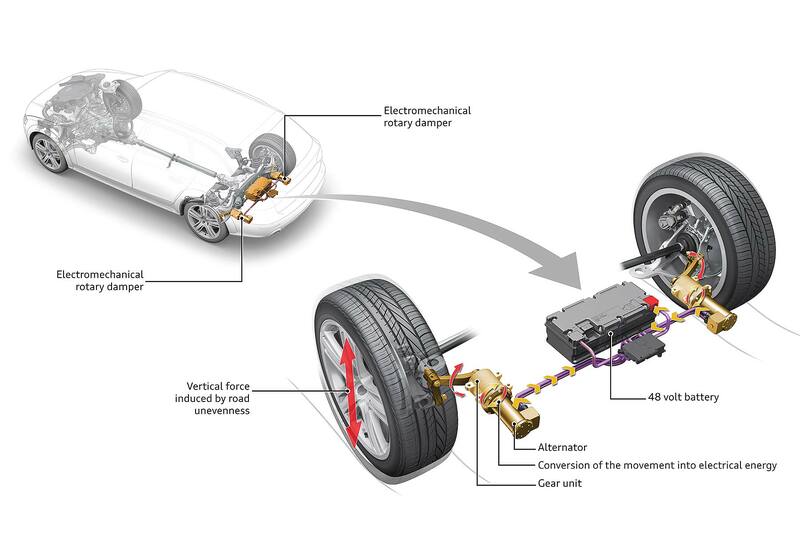 Audi is developing a new type of suspension that replaces traditional suspension dampers with electromechanical ones – which have the ability to convert kinetic energy into electricity. This means the suspension can generate power as the car drives along – from 3 watts on a smooth motorway to a hefty 613 watts on rougher roads. In other words, the worse the road, the more electricity the car suspension generates. Which is much better than today’s systems says Audi AG technical board member Dr.-Ing Stefan Knirsch, which merely absorb energy and then lose it in the form of heat. That’s not all the prototype new eROT system can do. As it’s actively controlled, it responds ultra-quickly to changes in the road surface, and can also allow suspension to be soft in compression but firm in rebound – comfort with control, in other words. And as the electric motors that replace the traditional dampers are mounted horizontally, it means there’s no need for suspension turrets so the boot can be bigger. Audi says it’s “certainly plausible” to use this new type of suspension in future production models – as it’s going public with it, you’d have to imagine it’s a near-certain. 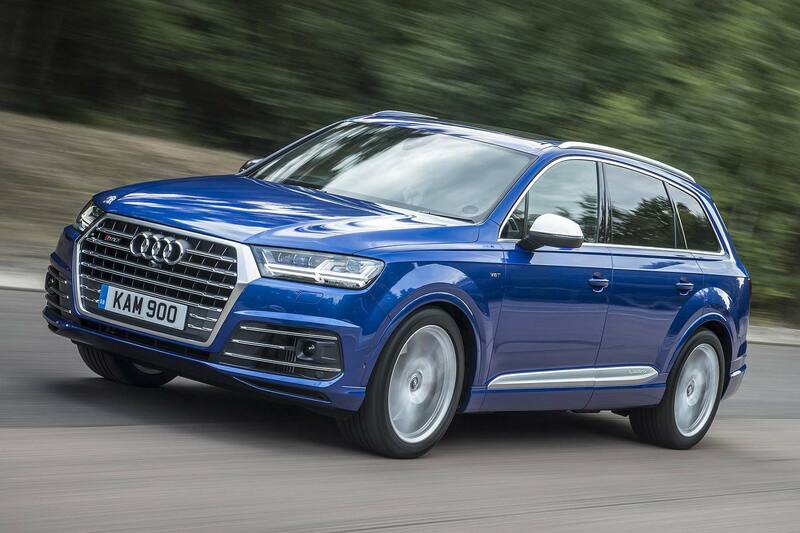 It does require cars to use high-capacity 48-volt electrical systems though, which the firm is rolling out for the first time next year (although todays Q7 already uses a 48-volt system in the suspension). So, bets on the first Audi to have suspension that can charge the battery as you drive? The next-generation Audi A8? Watch this space. 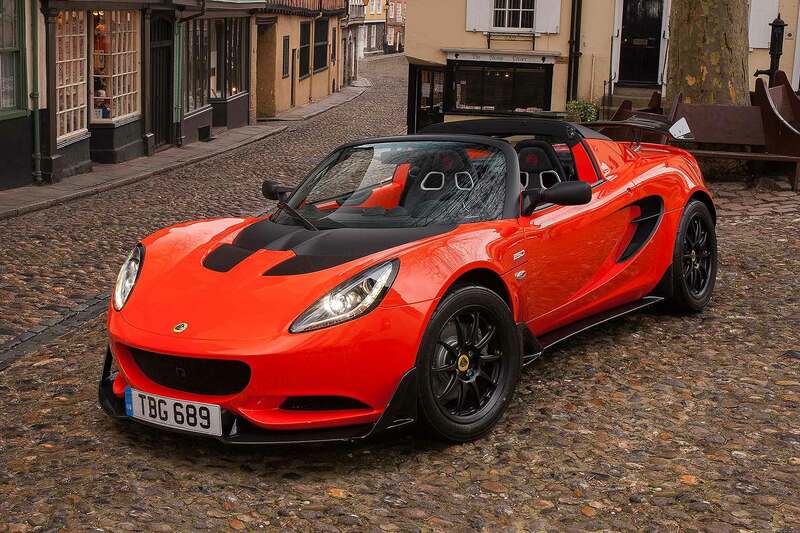 Lotus has revealed it’s cut a hefty 207kg from its model range in the past year alone, proving the spirit of founder Colin Chapman, whose mantra was ‘just add lightness’, is alive and well. Significant weight savings include 70kg cut from the Lotus Evora Sport 410 over the already-honed Evora 400, 91kg from the Exige Sport 350 over the Exige S, while even the familiar Elise has benefitted from a weight reduction of 15kg. It means even the heaviest Lotus model tips the scales at under 1,400kg – significantly lighter than even the lightest, supposedly-lightweight all-aluminium Jaguar F-Type, which in base 340hp V6 guise tips the scales at 1,537kg. 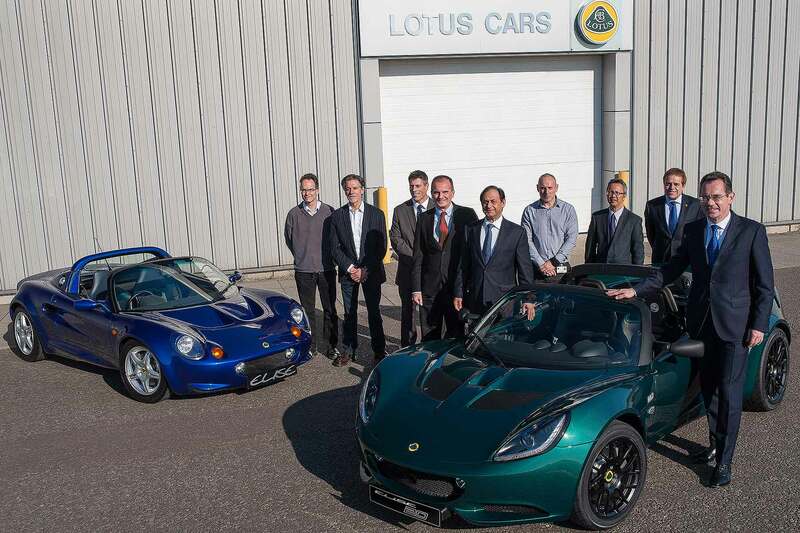 “To perfect a pure sports car, you must consider weight your enemy,” said Lotus CEO Jean-Marc Gales. “Lose weight and you will make significant gains: hard er and faster cornering, better braking, greater agility and responsiveness, along with faster acceleration. As such, the inspirational new Lotus boss has, for the past few years, been running a so-called Lightweight Lab, where all Lotus models are stripped bare and each part analysed to see how to make it lighter. It’s this strategy that’s led to such significant ongoing savings. Optional carbon composite components cut another 30kg, giving the roadster a kerbweight of just 1,085kg – outrageous for a 350hp rear-drive sports car (and key to its impressive performance). Lotus also points out its bonded aluminium chassis technology is still considered a benchmark in the automotive industry, more than 20 years since it was introduced. 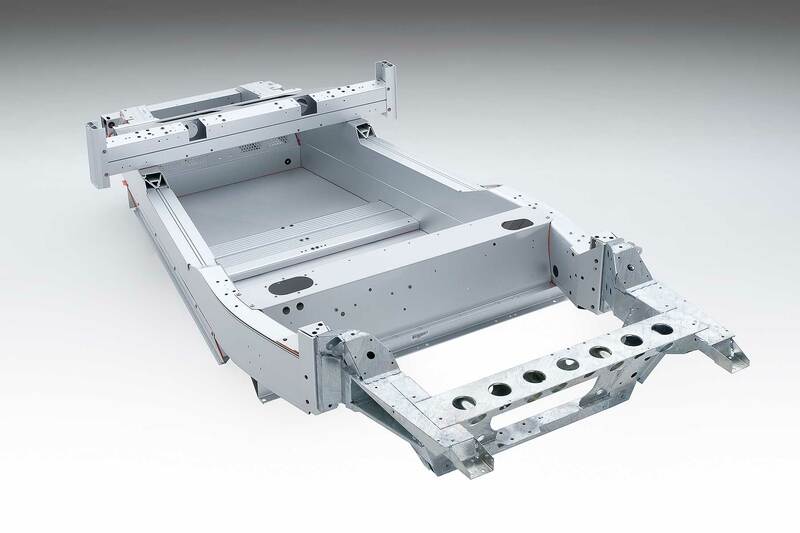 Lightweight extrusions are bonded together with epoxy adhesive which means the ultra-strong chassis for the Elise and Exige weighs just 68kg. That’s half that of an equivalent steel chassis – and, significantly, roughly the same weight as a carbon fibre chassis, despite being significantly cheaper and more adaptable. Now, Lotus continues to find weight savings in the lightweight lab, with Gales coining the phrase, ‘the Lotus approach to light is right engineering’. So, 207kg has been cut in a single year alone. How much more lightness can be added? Driverless cars may sound like tech for the future but new research from the SMMT has revealed 1.5 million new British cars are already fitted with semi-autonomous ‘driverless’ technology. Such autonomous safety tech, which includes collision warning, adaptive cruise control and autonomous emergency braking, takes over from the driving in safety-critical situations – and the tech behind it is also the same used by fully self-driving cars. The new research thus shows the building blocks of the driverless car is already sitting on the driveways of 1.5 million new car owners. And uptake continues to grow. 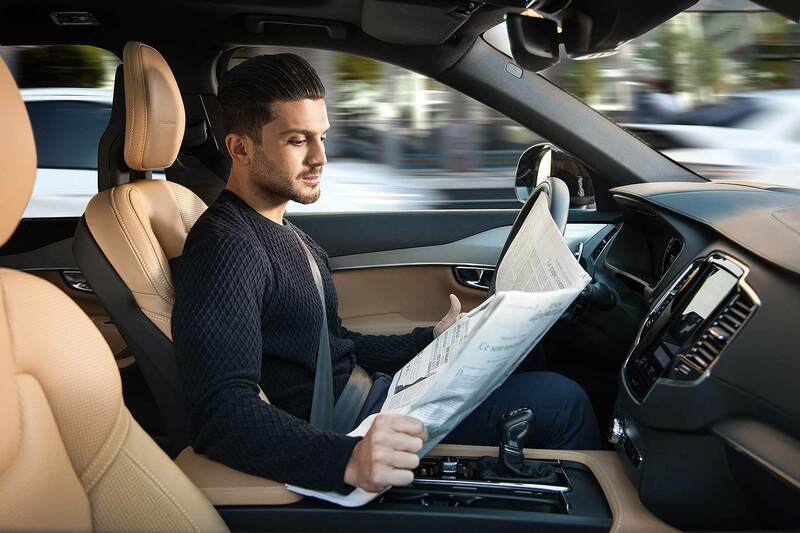 Mike Hawes, SMMT chief executive, said, “Fully driverless cars are still a long way off from everyday use, but this data shows advanced autonomous technology is already making its way into the majority of new cars. Uptake of autonomous new car tech is rapidly growing. Five years ago, less than 7% of new cars sold featured a collision warning system either as standard or a fitted option. Today, that figure has grown to more than 58%. More than 1 in 3 new cars has blind spot monitoring and more than 30% have adaptive cruise control. Such autonomous safety tech will have a big impact on road safety. Research by the SMMT suggests that serious accidents could fall by 25,000 a year by 2030 – and 2,500 lives could be saved every year. Autonomous tech will also give a huge boost to the economy, predicts the SMMT: the annual saving to consumers could be as high as £40 billion, it believes. SEAT has joined forces with SAP and Samsung to create a concept of the connected car of the future – and has showcased its technological innovations at Mobile World Congress 2016. 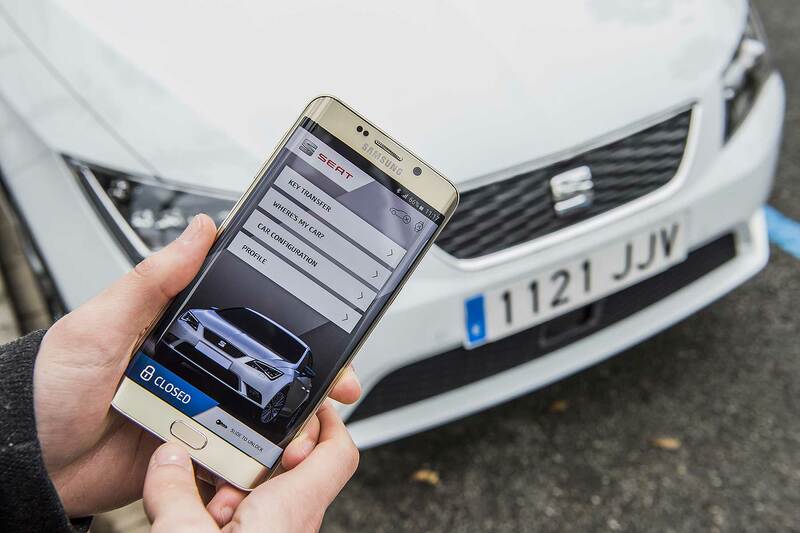 A ‘Connected Car’, a SEAT Leon X-Perience, has been packed with new tech that SEAT aims to have real-world usefulness – such as an app that allows the driver to reserve and pay for a parking spot without even leaving the car. Similar to Samsung’s Pay platform in South Korea, the SEAT version is designed to incorporate SEAT’s ConnectApp and is operated by using fingerprint recognition. Another technological system on display, the Digital Key, uses a Samsung smartphone as a car key. 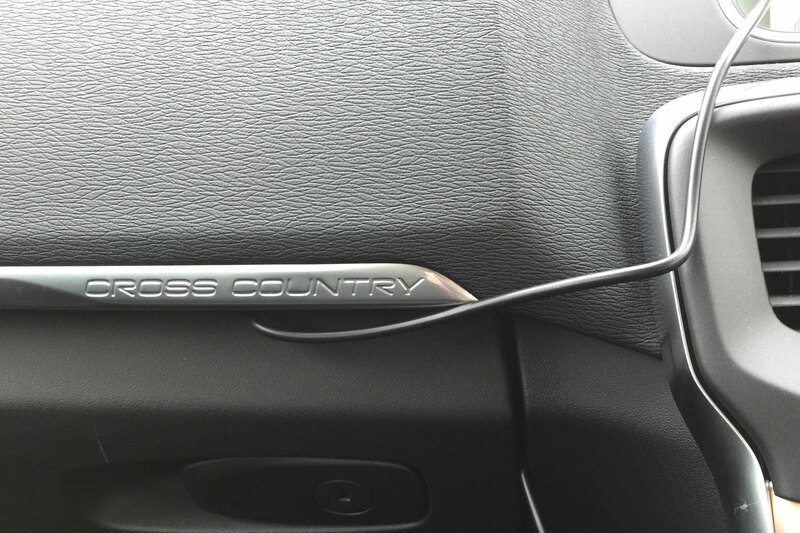 It will also allow the driver to operate the air con and the windows remotely, but it’s most fascinating function is the ability to transfer authorisation of the car from phone to phone by creating a virtual copy of the car’s digital key. A time limit is set on the duplicate key and when the timer runs out the sharing capability ends. 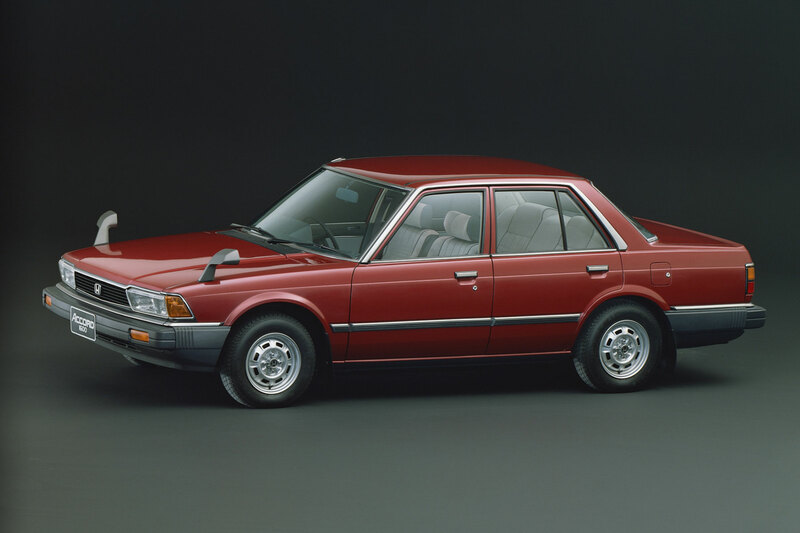 There are plans to introduce a more advanced stage of the key, which would configure the car’s functions or performances such as setting a maximum speed or specifying the driving mode in order to get better fuel economy. 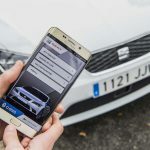 SEAT also announced that, in collaboration with Accenture, it has developed the concept of MY SEAT App, which seeks to explore the potential services opportunities of the Internet of Things (IoT). The app will showcase functionalities including remote control of connected home appliances, replicate car dashboard warnings and alerts, and offer driving tips to increase performance, reduce fuel consumption and alerting the driver to unplanned car maintenance. 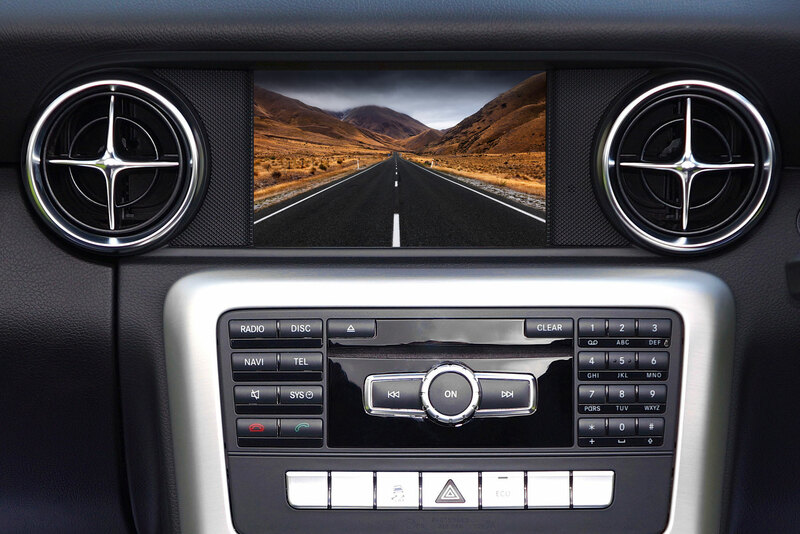 At the same show, SEAT’s Volkswagen Group stablemate, Skoda, announced that it has teamed up with RealVNC to develop Wireless MirrorLink prototype technology. 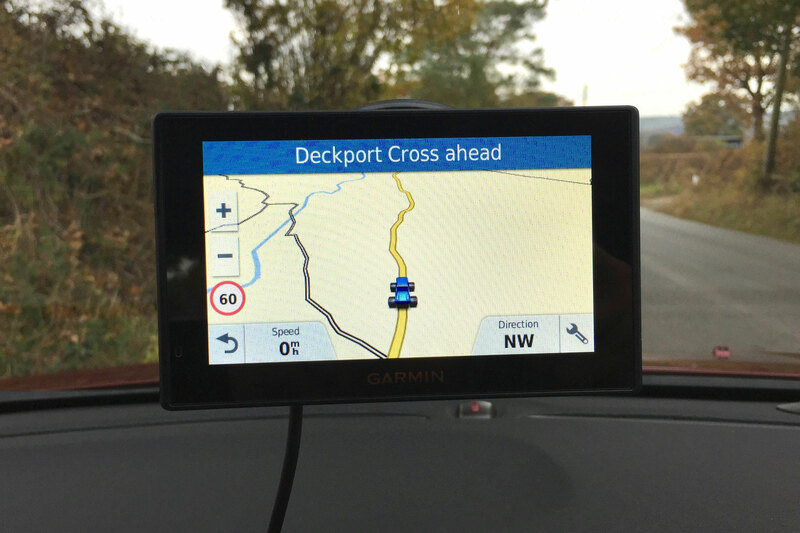 The system is designed to allow the transfer of content from your phone to the car’s infotainment system, wirelessly, which is an improvement on the current MirrorLink system, which requires a cable. 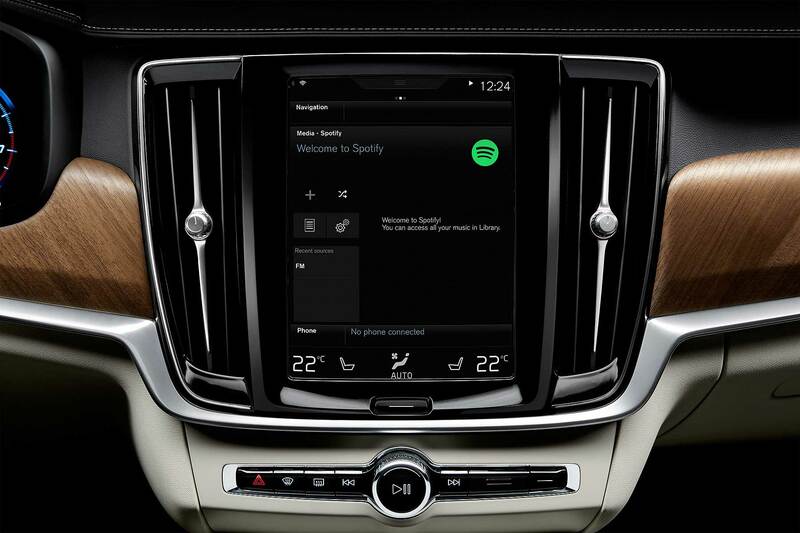 Volvo will be the first car company to fully integrate the Spotify music streaming service into all of its models without the use of a smartphone. Making the announcement at Mobile World Congress 2016, Volvo said its new S90 and V90 models, which are both due to be released in the spring, will be the first to receive the service, along with the XC90 SUV. 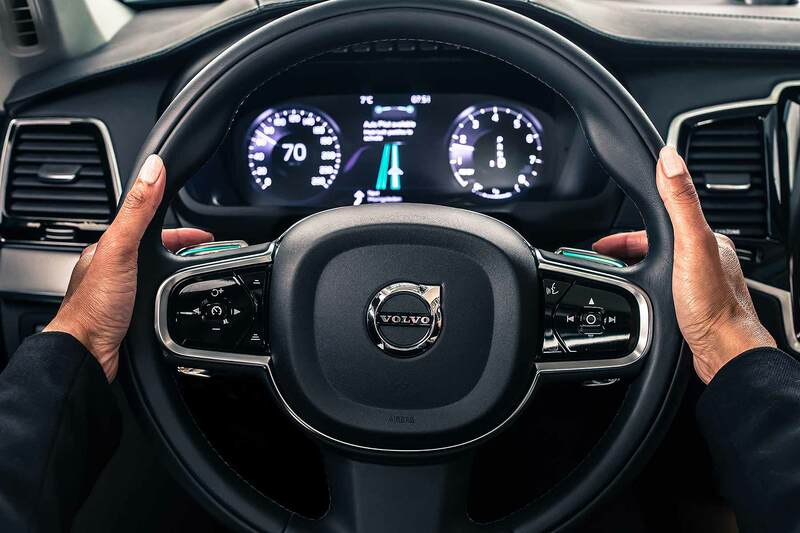 Volvo has worked closely with the popular music streaming service to design a useable interface that does not require the use of a smartphone. Currently, Spotify is only available by using Apple’s CarPlay and Bluetooth, both of which are available on newer Volvo models: the new service means music streaming even if (shock) you leave the smartphone at home. Volvo announced that this feature will be available in all countries where Spotify is currently offered. 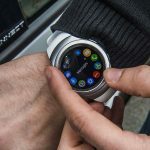 Ford will be revealing its third-generation SYNC communications system at next week’s Mobile World Congress in Barcelona – and it’ll let you check the weather on the move, find the nearest coffee shop, and even earn money by delivering packages. 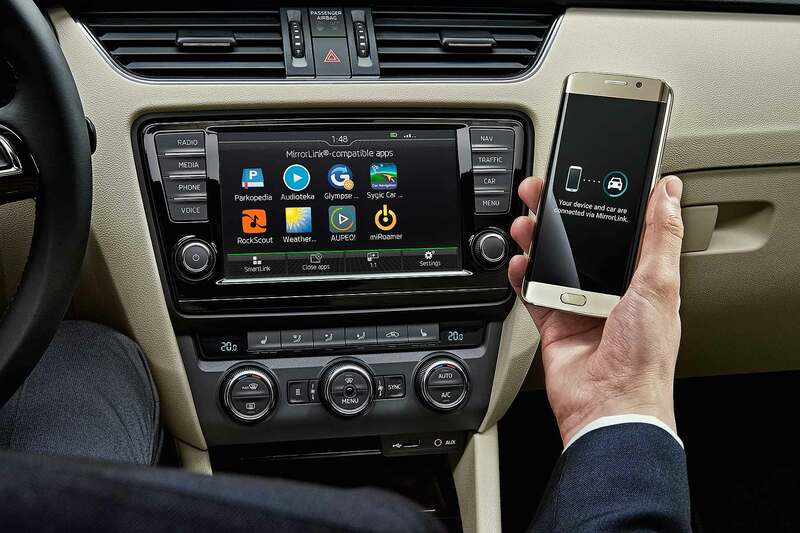 Using an 8-inch touchscreen, SYNC 3 uses ‘conversational’ voice commands to provide assistance while driving. For example, the driver would just need to press a button and say ‘I need a coffee’ for the navigation to reset to a nearby coffee shop. 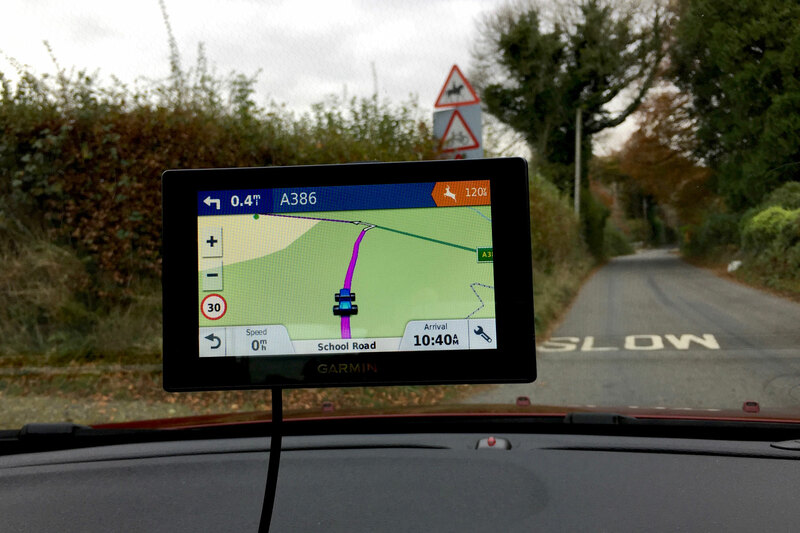 This could also be used to find petrol stations, car parks, airports and hotels. 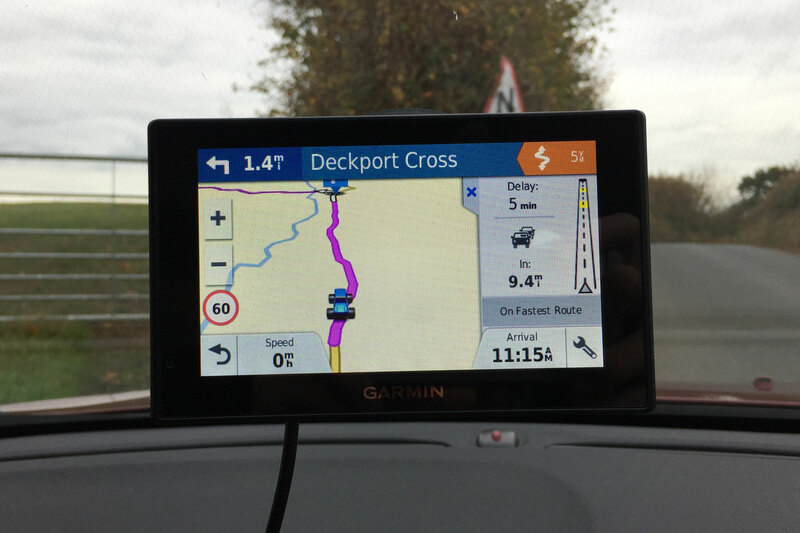 Further features, such as the ability to record and share audio clips as well as check the weather on the move and earn money by delivering packages will be accessible via SYNC’s AppLink. Drivers of 15 million vehicles worldwide already use Ford SYNC’s in-car features – and the company says it’s drawn on more than 22,000 comments to make SYNC 3 more user-friendly. The process has been simplified, with navigation, audio and phone all easier to access with fewer steps required for each command. 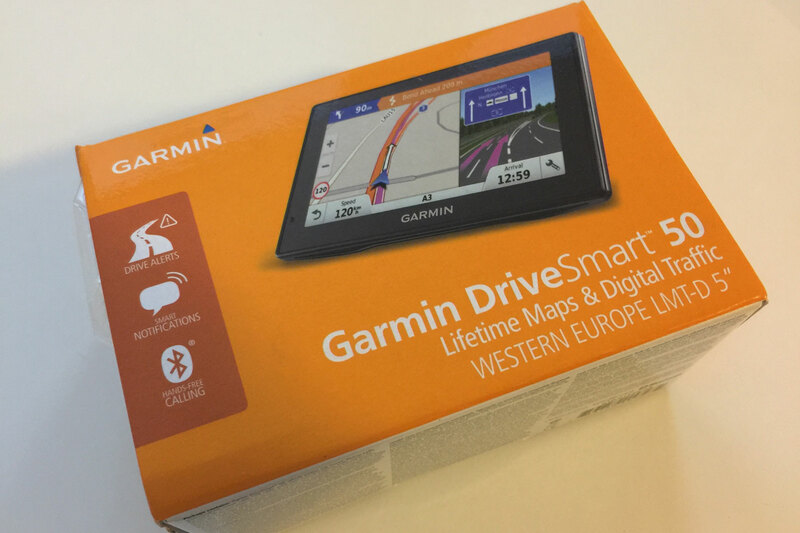 This will be welcome news to users of its current SYNC 2 system. 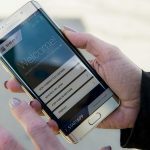 Kellerwessel added: “Whether you are craving your morning cappuccino on your daily commute or covering the cost of a journey by transporting a package, SYNC 3 brings to life innovative new ways of staying connected on the move. SYNC 3 will be compatible with both Android Auto and Apple CarPlay – and will be capable of automatically receiving updates via your home’s WiFi network when your car’s parked in the garage. 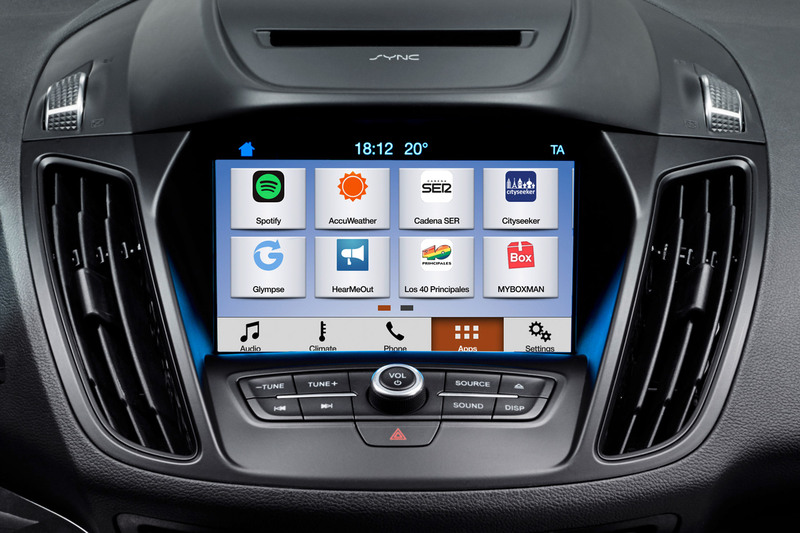 The system will make its debut in the new Ford Kuga at MWC2016, with European launches taking place as soon as summer across Mondeo, S-Max and Galaxy models.